Former Wall Street executive Phil Murphy, assuming elected office for the first time, prepared Tuesday to be sworn in as New Jersey’s 56th governor and return Democrats to full control of state government. “Today our great state turns a new page,” Murphy said in a tweet that included a photo of him, his wife, Tammy, and their four children in a group hug. Murphy, 60, succeeds two-term Republican Gov. Chris Christie, an ally of Donald Trump. Murphy promises to be an antagonist of the president. Murphy and his wife started the morning by attending a prayer service at Shiloh Baptist Church in Trenton. The inauguration was taking place in a grand 1,800-seat theater at the state capitol complex in Trenton. Six ceremonial canons were set up out front for an expected salute. 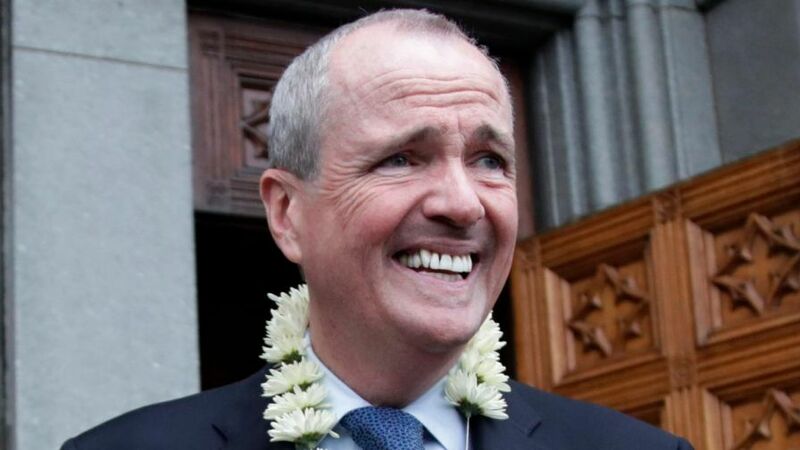 Murphy takes over from a larger-than-life governor who oversaw the state as its economy rebounded but who also saw his popularity plunge after a failed presidential run and the George Washington Bridge lane-closure scandal. Murphy built his campaign around undoing the Trump administration’s efforts on health care, immigration and taxes. He promises to raise taxes on millionaires and legalize recreational marijuana, allies himself with unions and says he will increase payments into the state pension system and school aid. Trenton was gridlocked on Tuesday because of an ice-jammed Delaware River that flooded local roads and closed streets in addition to the traffic for the inauguration. Murphy’s inaugural ball Tuesday night was to be held under a tent at MetLife Stadium in East Rutherford. The new governor earned his fortune, which he used to help win the Democratic nomination last year, as an executive at Goldman Sachs. The last Democratic governor, Jon Corzine, who Christie ousted in 2009, was also an executive at Goldman Sachs. He also served several years under the Obama administration as ambassador to Germany.